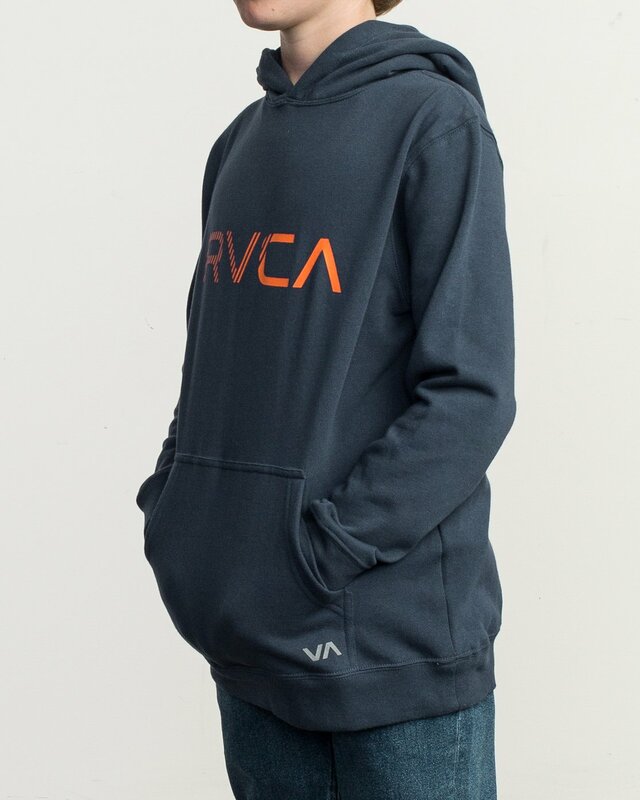 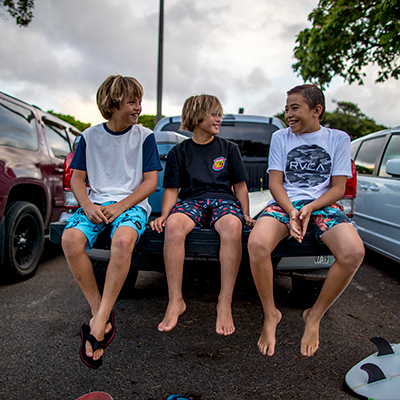 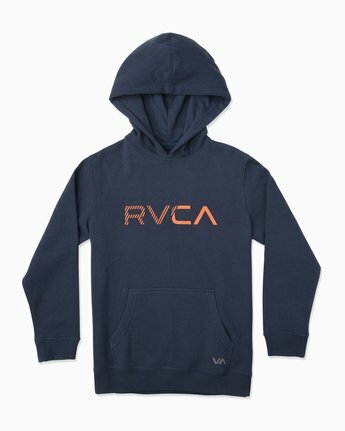 The Scratched RVCA Hoodie for boys intersects a solid logo sweatshirt with diagonal stripe cuts. 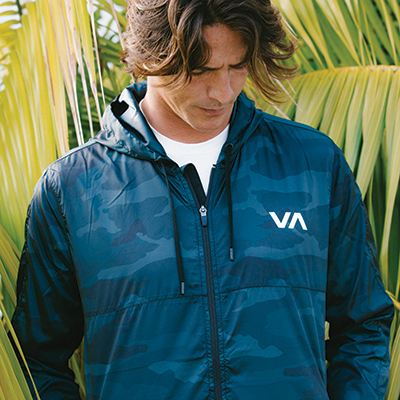 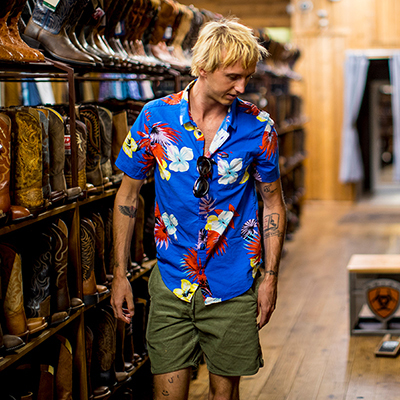 The boys fleece tops a solid base with an original RVCA logo print, a kangaroo pouch pocket and rib knit at the cuffs and hem. 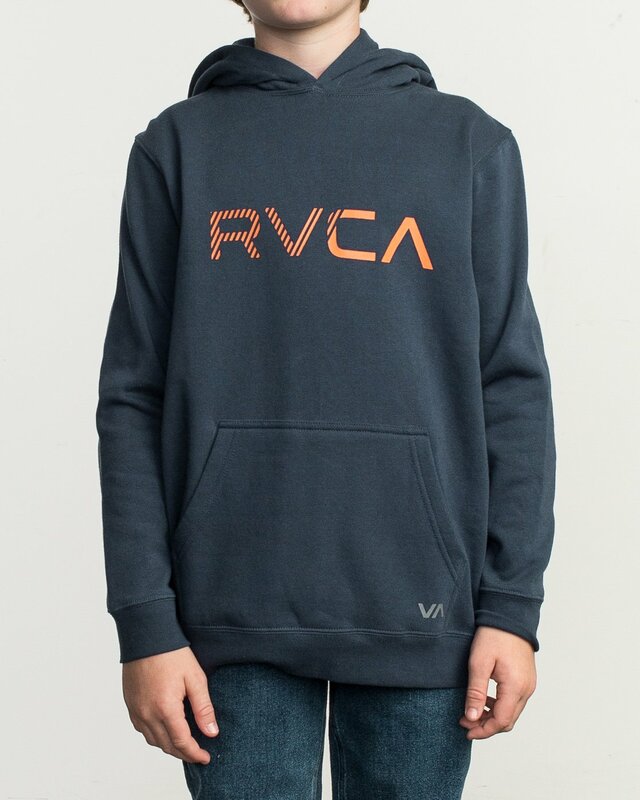 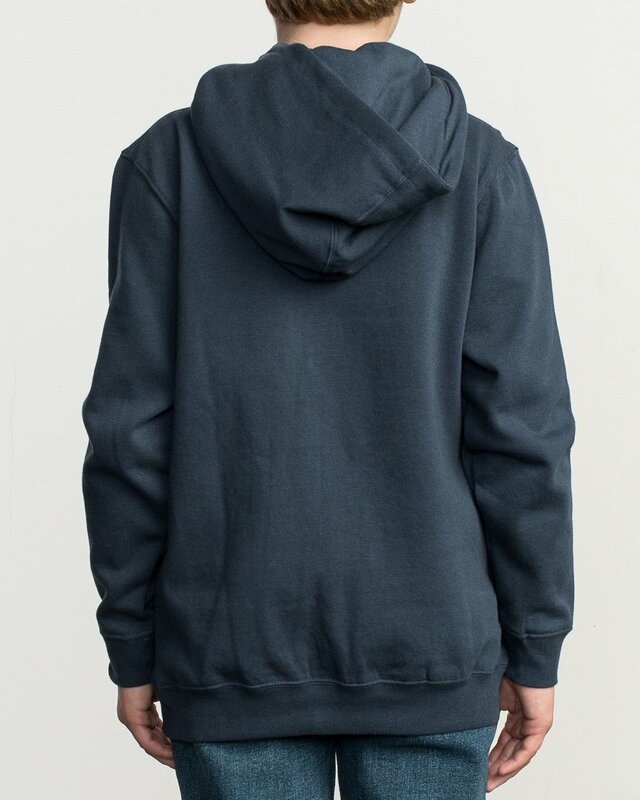 The graphic hoodie is made from a super soft fleece blend.